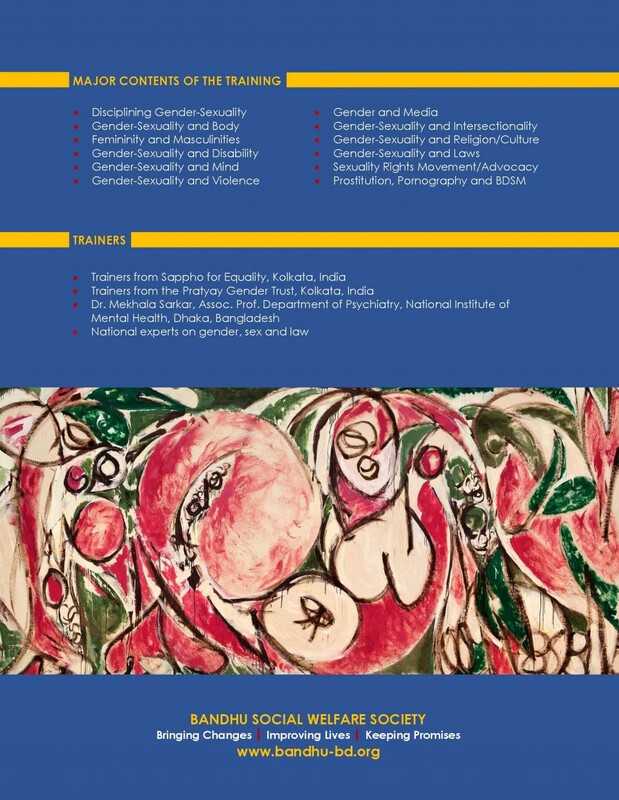 Possibility is a platform for gender diverse women of Bandhu Social Welfare Society in Bangladesh. This platform initiates training, workshops, advocacy meetings and also does networking and communication with stakeholders with a view to drawing the attention of broader society on the issues around human rights and health rights of gender diverse women. 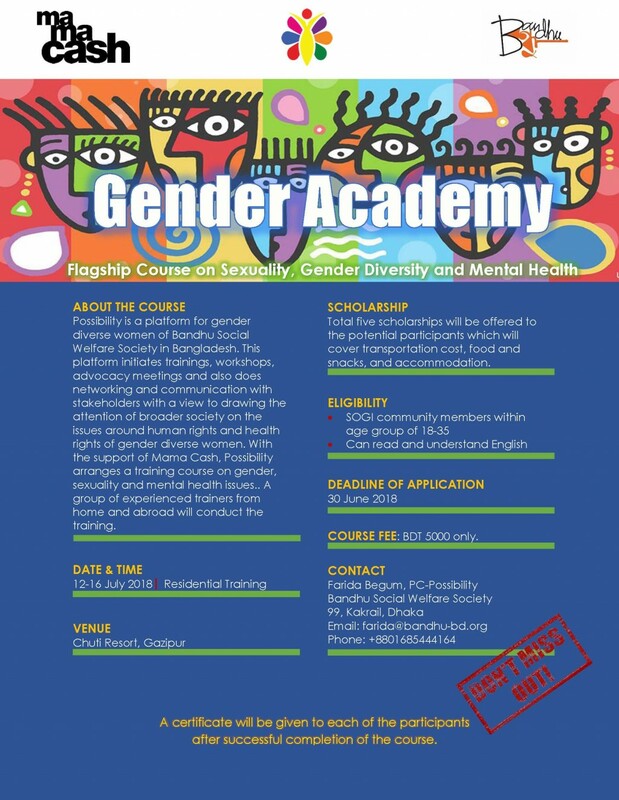 With the support of Mama Cash, Possibility arranges a training course on gender, sexuality and mental health issues. A group of experienced trainers from home and abroad will conduct the training.